Kids can learn colors by watching this fun online episode! 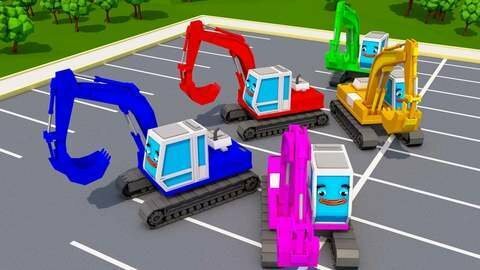 In this 3D car cartoon for kids, yellow excavator has dug a big hole. He finds colored balls! But will he drop the orange, red, blue, grey, and black balls into the correct boxes?! Learn by watching this episode at SeeZisKids.com!